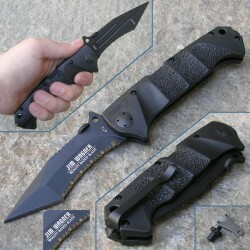 Boker Plus Jim Wagner Reality Based Blade. 5 1/4" closed lockback. Black finish 440C stainless partially serrated tanto point blade with kris style curve and radial thumb lug. 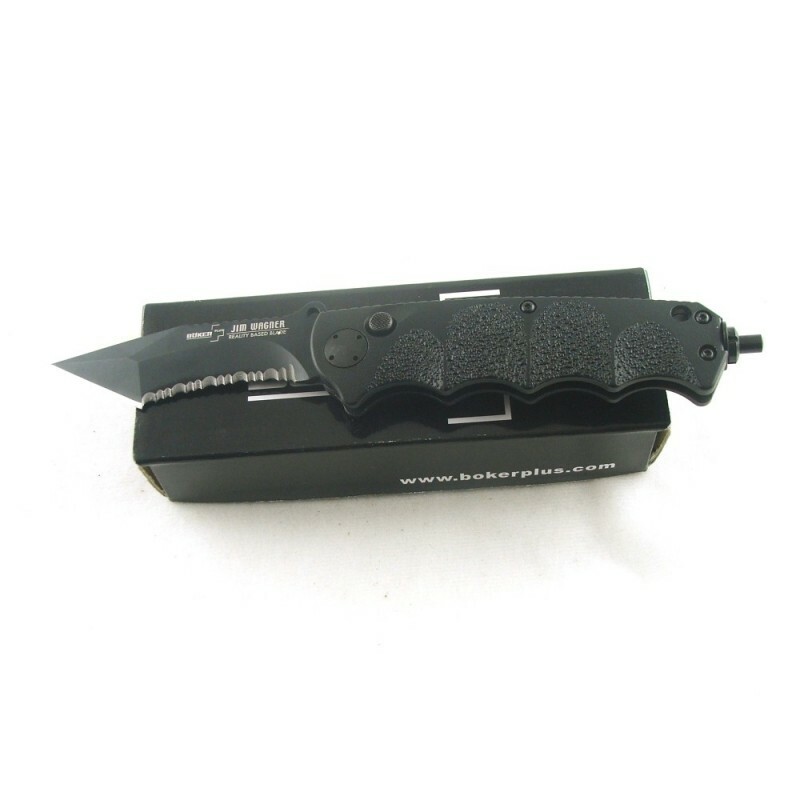 Rear side of blade has two blood grooves. Black fiber-glass reinforced composition handles. Clip kit that allows you to choose between a glass breaker or a clip that looks like a writing pen. Lanyard hole.